The Senior Care Acquisition Report gives you hard-to-find data metrics and insightful analyses of all this year’s senior care mergers and acquisitions. Geared towards the C-suite but useful for all senior care investors, lenders and consultants, the Report features the nitty-gritty details for the previous year’s transactions and incorporates that data in a comprehensive analysis of the senior care M&A market. 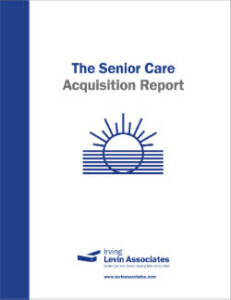 This market intelligence is found only in the Senior Care Acquisition Report. Order today! 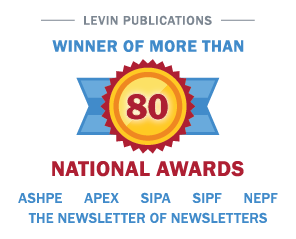 Available in regular subscription (print & PDF) or corporate/group subscription. Call for corporate subscription (203-846-6800).